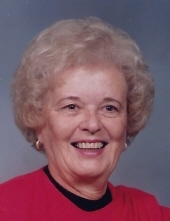 Margaret M. “Marge” Yandrasits, 89 years, formerly of Whitehall, passed away Friday, March 29th at St. Joseph’s Manor, Meadowbrook, PA. She was the wife of the late Frank J. Yandrasits. Born in Whitehall Twp, she was the daughter of the late Michael and Suzanna (Lucas) Harakal. Marge was a member of St. Peter’s Catholic Church in Coplay, where she had been a member of the Altar & Rosary Society and the pierogi making committee. She was employed by the former Modern Slacks in Allentown for many years before retiring. She was a former member of the Whitehall Senior Citizens, St. John Fisher’s Young at Heart, and Coplay Senior Citizens. She enjoyed bingo, dinner shows, baking, and casinos. Survivors include her daughter Carol A. Egger (Russ) of Rydal, PA, sister Mary Kachmar (John) of Northampton, grandchildren Matthew (Pix), Timothy (Melanie) and Nancy (Justin), and a great granddaughter Laila. She was predeceased by brothers John and Andrew. A Mass of Christian Burial will be held at 10:30am on Wednesday April 3rd, 2019 at St. Peter’s Catholic Church 4 S. 5th St. Coplay, PA 18037. There will be a viewing from 9-10am on Wednesday at Brubaker Funeral Home, Inc. 327 Chestnut St. Coplay, PA 18037. Memorial contributions may be made to the church. To plant a tree in memory of Margaret M. Yandrasits, please visit our Tribute Store. "Email Address" would like to share the life celebration of Margaret M. Yandrasits. Click on the "link" to go to share a favorite memory or leave a condolence message for the family.